A dental emergency is a serious issue that needs immediate treatment. When teeth are damaged severely or knocked out, dentist have a number of hours to be able to put the tooth back safely in the mouth. Broken teeth should also be fixed as quickly as possible. A matter of hours can make a big difference in saving a tooth. At the offices of TruCare Dental, our dental office in North Valley caters to patients seeking emergency dental care and urgent dental care. There are some things the patient can do while waiting for the dentist. If a tooth has been knocked out, and it is a permanent adult tooth, it should be kept moist or put back in the socket without hurting the root before coming to our dental office in North Valley. The same procedure should be repeated for children’s teeth. For cracked teeth, the mouth should be rinsed immediately with warm water and a compress put on the face to reduce any swelling that is occurring. Other dental emergencies, such as broken jaws, should also apply a cold compress before reporting to our offices or an emergency room immediately. Some patients may have an object that is stuck in their tooth, and although floss may help remove it, if it doesn’t come out, it can cause an infection, which is considered a dental emergency. See our doctor right away if this is the case. Other problems, such a toothaches, may not be cause for a dental emergency but may be painful enough to warrant a trip to the dentist. In this case, patients can try rinsing the mouth with warm water and using dental floss to remove food that may be bothering the teeth. Aspirin may help, but not directly on the tooth so as to avoid burning gum tissue. Before contacting us to make an appointment at our dental office in North Valley, be sure to clean the mouth by swishing warm water with salt if needed. If you are ever in need of emergency dental care, we hope you will contact us at TruCare Dental. At our dental office, our North Valley emergency dentist will be able to provide you and members of your family with expert emergency dental care.If you are ever in need of emergency dental care, we hope you will contact us at TruCare Dental. At our dental office, our North Valley emergency dentist will be able to provide you and members of your family with expert emergency dental care. At our dental practice, we are very happy to have three top-notch dentists on staff. Our dentists are Dr. Andrea Patterson, Dr. John Anton, and Dr. Shelley Verma. If you need a North Valley emergency dentist to take care of a pressing dental emergency, we hope you will contact us at our dental practice. We will make sure that you are seen within one hour of your call. Our staff is highly experienced in helping emergency patients, and our office staff makes sure to set up our daily schedules so that our dentists will be able to accommodate any unplanned emergency situations. 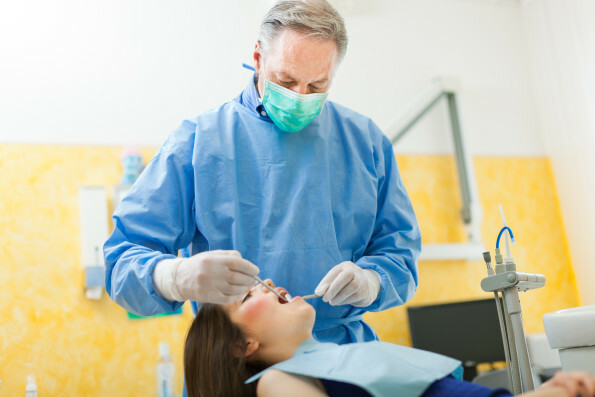 At our dental practice, our North Valley emergency dentist is able to handle just about any type of emergency dental problem you or a family member may have. Among the many problems we treat on an emergency basis are: tooth pain relief; treatment of broken teeth; emergency tooth extractions; treatment of abscesses; emergency root canals; replacement of crowns, bridges, and veneers; replacement of knocked out teeth; and many other common dental emergencies. If it is after hours, be sure to leave a message because our messages are checked 24 hours a day. If you are experiencing a dental emergency you can also feel free to simply walk into our office, and we will be able to accommodate your dental needs. If a tooth is knocked out, or you experience chipped teeth, do your best to try to bring in the knocked out tooth or tooth pieces with you. When you call our office, our office staff will be able to provide you with the best way to safety bring in the knocked out tooth so that it can possibly be reinserted into your mouth. Our dental practice does not charge emergency fees like many local dentists. 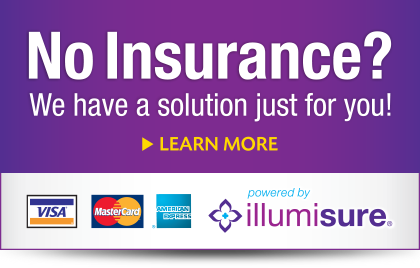 We are also in-network with just about all insurance companies so that your visit will be as affordable as possible. We hope you never need treatment for an emergency dental problem, but if you do, just remember that we are here to help you. Suprisingly I went in for a root canal and it was a very pleasent visit…which I didn’t know was possible. All I can say is that I left happy.